Make no mistake: the man who is known in the YouTube Community as Agent19 (aka Frank Jardim) is as unqualified as they come. Agent19 is a hypocrite, an admitted pathological liar and a coward with no credentials to back up his tough-guy persona and his gift of gab. Actually, the only TRUE credentials Agent19 has been boasting about for the past couple years are true. Those harassment figures he claims… what is it up to now? Two hundred people he’s tried to ruin? Agent19’s earlier work as a budding YouTuber can still be found by searching “HereBeMonsters,” “CancermanCoIntelPro” and currently makes up half of OctoberReignz cyber-bullying gang. He, along with Montagraph, have now messed with over two hundred people’s lives. Agent19 recently put out a video showing a Sandy Hook victim’s social media profile. On the profile were family pictures, but Agent19 tried to play this off as if it were being broadcast LIVE. The truth is, Agent19 knows how to edit, so does he think a video where children who are NOT his being shown is appropriate? Are any of Agent19’s screencasts acceptable behavior? 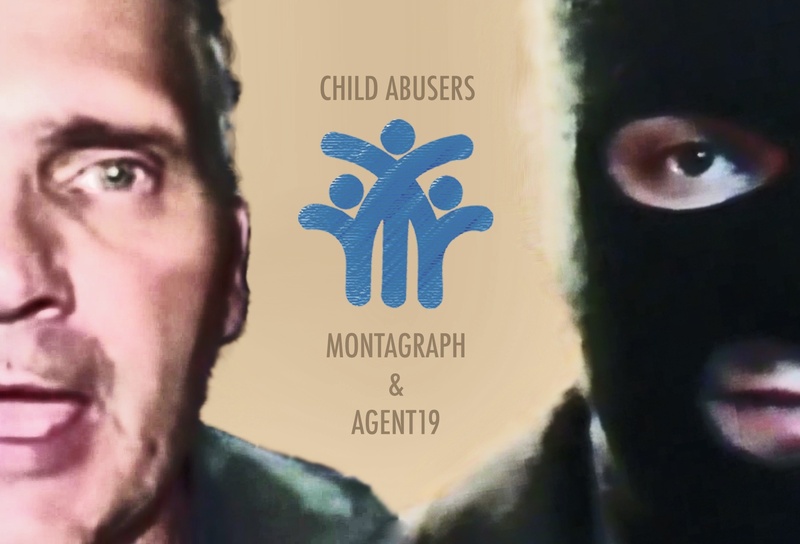 Two videos about a couple of degenerates known as Agent19 (aka Frank Jardim) and Montagraph. Can the passage of time, really changeover facts? A trick that some claim to be true. At length, this video is about certain accounts that will explain some of the history of both Montagraph and Agent19 AKA: Herebemonsters6. Agent19’s outrageous claims that he was around at all times that chased away every single troll that had gotten in his way. His history reveals something very different. The accounts that are reviewed goes back six years or more. Every now and then, about year or more, you’ll have certain ones’ that will roll in to try and rewrite history endeavoring to replace the actual facts that unfolded during those times. Some say they were the golden years for the trolls. I have to admit, the trolls back then ran in large swarms that spiraled bigger and bigger as time passed on. More, in particular, was the group that was later coined, the “Hyenas.” They were part of the gun community. A small part of this community bled over into another dark-side of Youtube. It was a time of chaos and war between many. This is when I met (what would later become the birth of another gang), the “Smilies.” Nuclearfright, Braden Morgan, SauerTongues, TMHonfire101, Catfishman, Cokeman2423, TNPTROLLKILLER and xAzazelx13, all became affiliated in the area where the Vonhelton trolls and the future Smilies all could be found. This came about mostly through 155millimeter, CRTV and Fat Mike’s (The1911Channel) fights with THEBUBBAEFFECT. They were the connecting bridge that merged the two groups together. THEBUBBAEFFECT tried to fit in with the gun community, but he was largely ignored or thought to be (by most) too much of a creepy weirdo. The larger, more normal gun channel’s all ignored him like he never existed. He did have one unusual looking crimson-colored nose though, and a laugh that would compel a person to grab all their kids and lock them inside the house to be safe and sound. There was this one video he posted up where his nose actually glowed in the dim light that he recorded in. Some trolls and stalkers like KrotchVomit trolled and stalked right on through the holidays like Agent19 and Felix does every year. Most of the trolls existing today are new as far as these particular past troll groups mentioned. Montagraph was a past victim. This video will explain how Agent19 came about. Since Montagraph and Agent19 are incapable of telling the truth, then I will tell it for them. A cornered person is a desperate person, that will take desperate measures. Again, I expect full-rage-results including the mad maniac rager from deep within. The truth does this to a person. Previous articleFelix Pantaleon, Agent19, MattyD and Montagraph drive mentally ill man to murder two people.